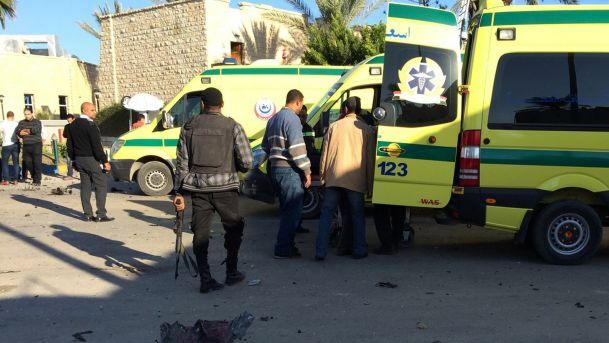 Four Egyptian workers belonging to state-owned power company lost their lives Sunday in the city of Al-Arish, in the Sinai Peninsula after their car hit a roadside bomb believed to have been planted by the Islamic State (IS) group, reports say. Three of the workers died instantly after the accident while the fourth passed away in the hospital. Security and medical sources under condition of anonymity told Associated Press that the bomb was planted by IS, which has been battling Egyptian security forces. The militants have staged attacks against government forces in the restive Peninsula. Attacks grew exponentially since 2013 after President Fattah al-Sisi toppled Islamist President Mohamed Morsi. Thousands of Islamists have been arrested and jailed including Morsi and several top leaders of the now banned Muslim Brotherhood. Around 500 state security personnel have been killed in the attacks, according to state figures which put the number of jihadists mowed down at more than a thousand. Written by: Jaber Ali on October 3, 2016. Posted by Jaber Ali on Oct 3 2016. Filed under Headlines, World News. You can follow any responses to this entry through the RSS 2.0. Both comments and pings are currently closed.